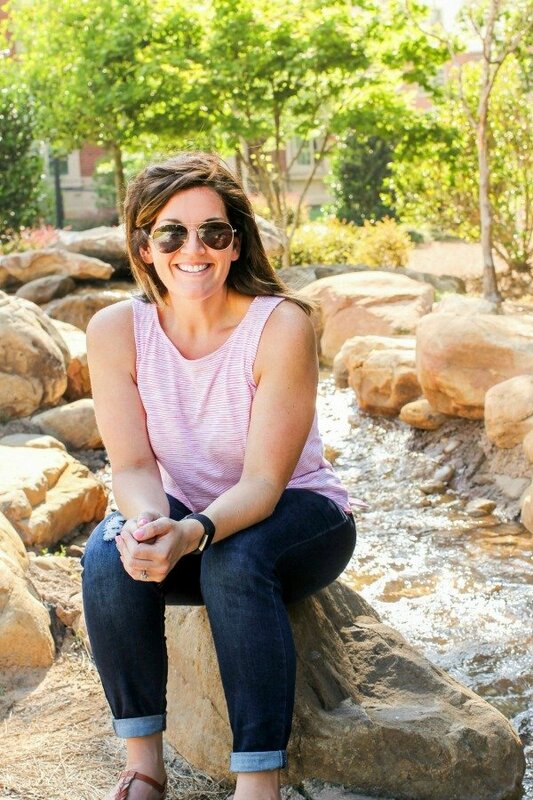 July 25, 2017 By Allyson 12 Comments This post may contain affiliate links. Read my disclosure policy. 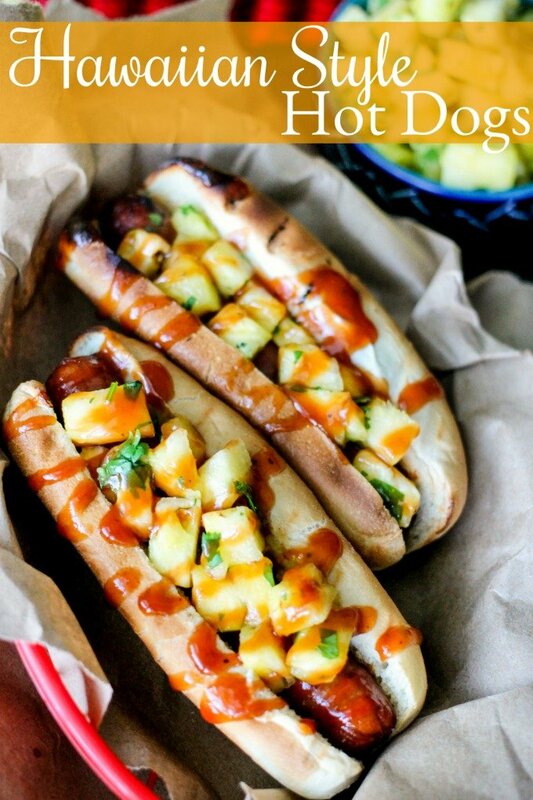 Hawaiian Style Hot Dogs are covered with fresh pineapple and cilantro, then drizzled with sweet BBQ sauce! This is a meal even your pickiest eater will enjoy! This is a sponsored post written by me on behalf of Hebrew National. All opinions and text are all my own. 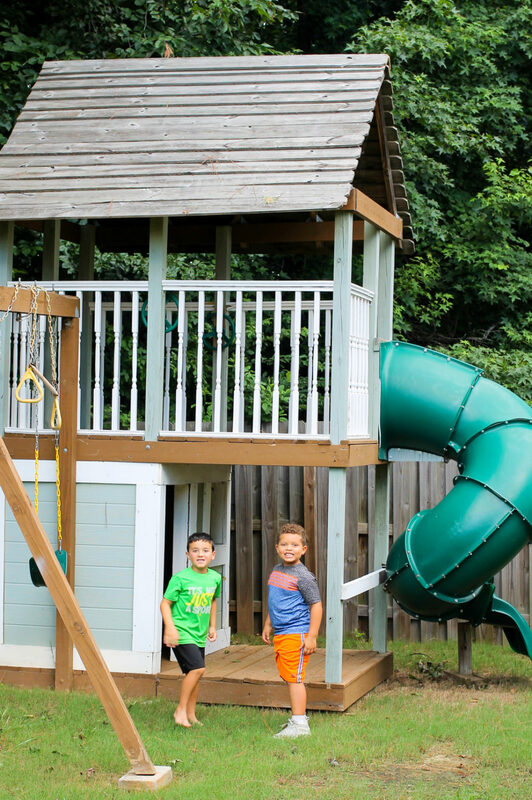 Now that we are in the midst of summer, I am always trying to find fun ways to incorporate dinner into our normal routine. 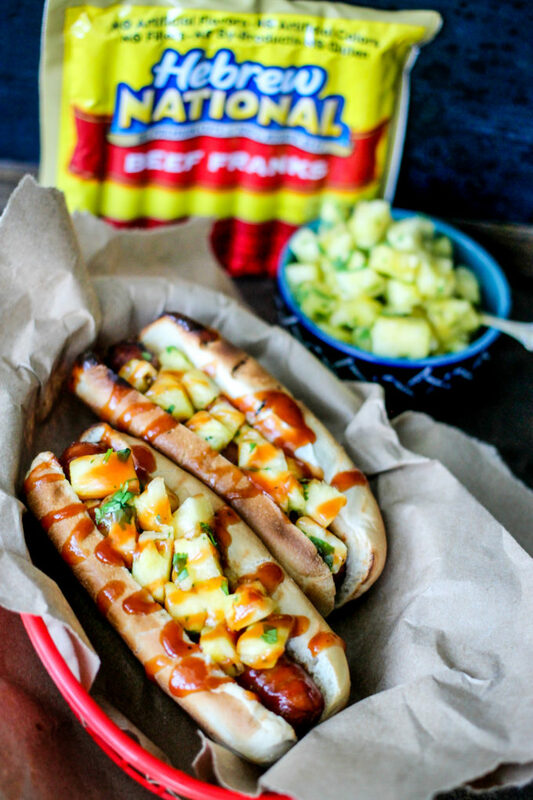 When I came up with these Hawaiian Style Hot Dogs, I knew my family would be fans! Now you probably would never guess but my kids are SUPER SUPER picky eaters! Being a recipe developer and food blogger, this drives me pretty insane. However, I’ve learned to pick my battles, and I’ve come to the conclusion that fighting over food is not a battle I am going to pick. I try to work around flavors they like, and I encourage them to try foods that are similar to foods that they already like. Well, sure enough they love hot dogs, especially Hebrew National Hot Dogs grilled with a toasty bun! They also like pineapple, so I wanted to jazz up the hot dogs with a bit of what they like. I had Austin, my older son, in the kitchen helping me, and I find this always helps make meal time more pleasant as well. Even if we are having a food he doesn’t love, he will usually try it if he is helping prepare it. Do you bring your kids into the kitchen with you? We mixed fresh pineapple with cilantro and some salt. Adding this ‘salsa’ of sorts to the grilled hot dogs really gives the meal a burst of flavor! As I mentioned earlier, when I add something to a food my kids already enjoy, it’s more likely they will try it. 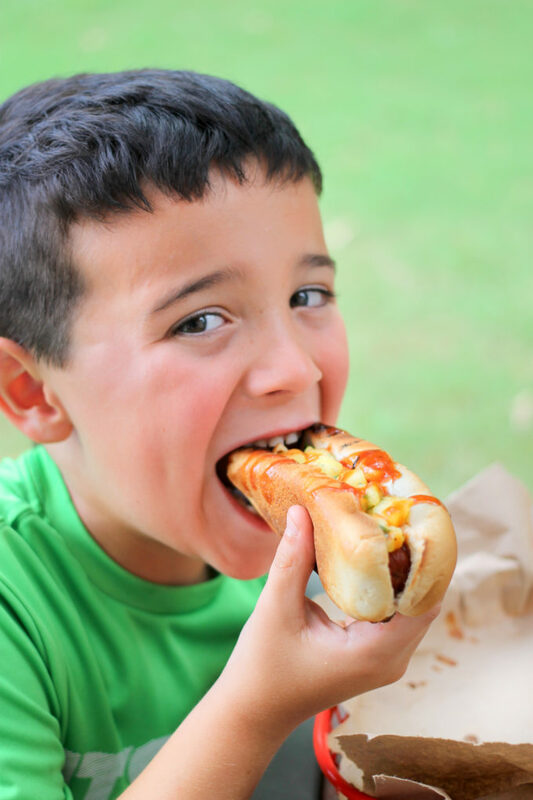 Hebrew National Hot Dogs are at the top of their list of ‘liked foods!’ Hebrew National hot dogs are premium quality, made with no fillers, which is important to me when it comes to hot dogs! They are made with 100% Kosher Beef and my kids love them! Hebrew National remains strict with their premium quality, so I don’t have anything to worry about and can focus on the more important things, like my family! Another trick I’ve come to LOVE (and the kids do too! ), is having friends over for meal time! Austin typically invites his best friend Linden to have dinner with us. Lucky for me, Linden is not too picky and loves helping in the kitchen and eating whatever we make! 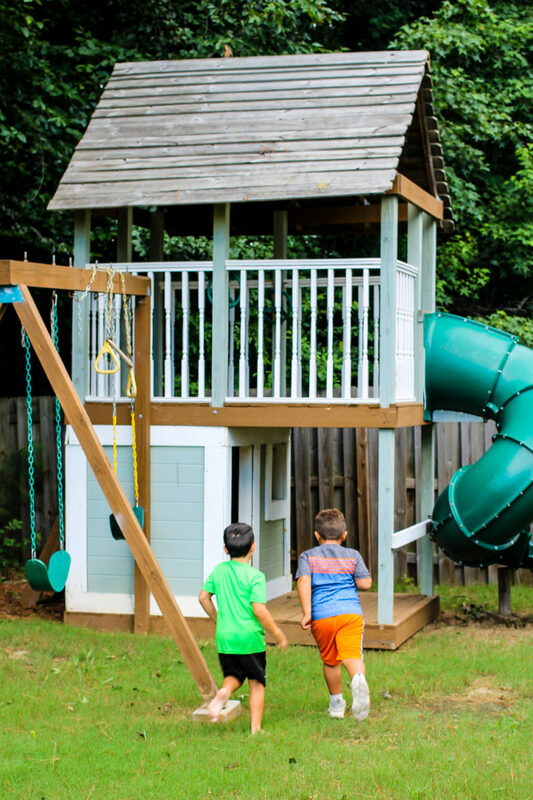 I also encourage my kids to eat eat eat, and then they can play play play! It seems to do the trick! 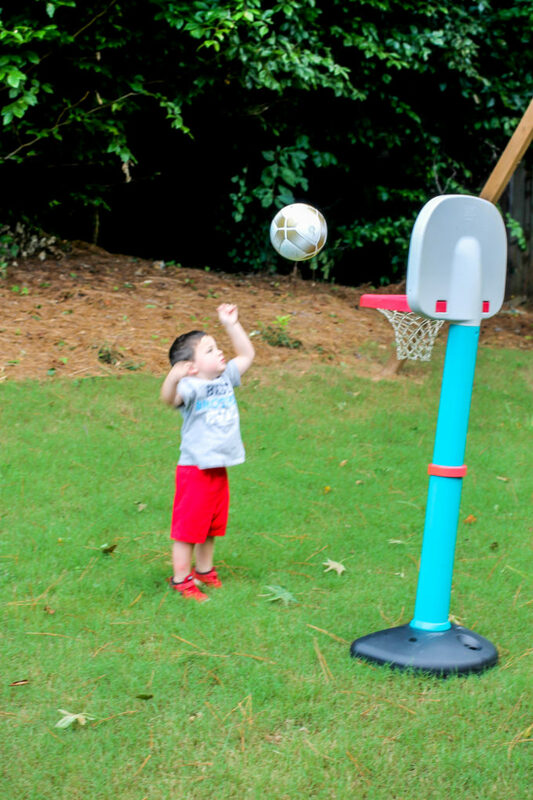 Oh, and my 3-year-old, Everett, wanted in on some of the after dinner playing action too, so he put his ‘bball’ (as he calls it LOL!) skills to the test! How do you encourage your kids to finish dinner? Any no fail methods you would love to share? Please let me know! Need more Dinner inspiration?! You can find a ton of great dinner recipes here! 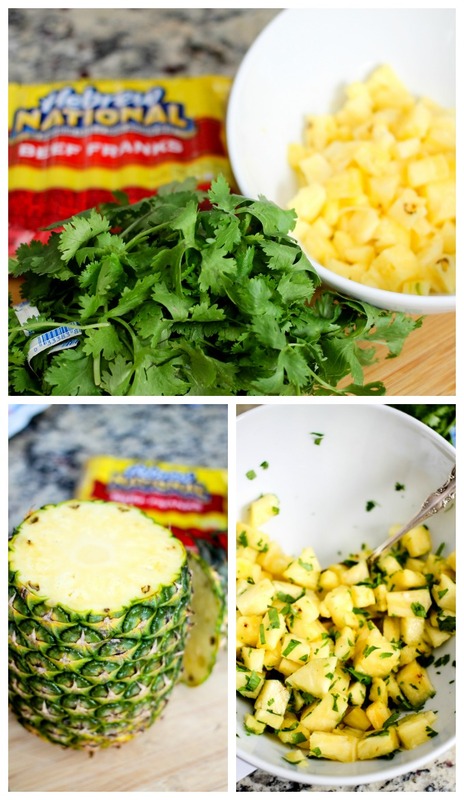 In a medium bowl add pineapple, cilantro, and salt; stir to combine. Grill your hot dogs until desired done-ness. Place into toasted buns. Top with pineapple mixture and drizzle with BBQ sauce. Serve and enjoy! What a fun take on a hot dog!! I love the tropical flavors – I need one for lunch today! Yes, they are perfect for lunch! 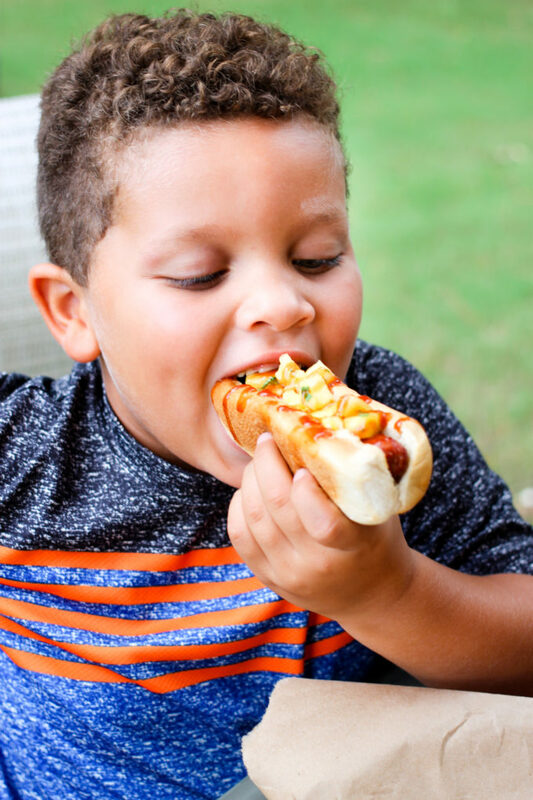 My boys are always asking for hot dogs and this looks like the perfect way to switch things up! BTW, your boys are too cute!! They will LOVE them like this, Jen! Thank you! 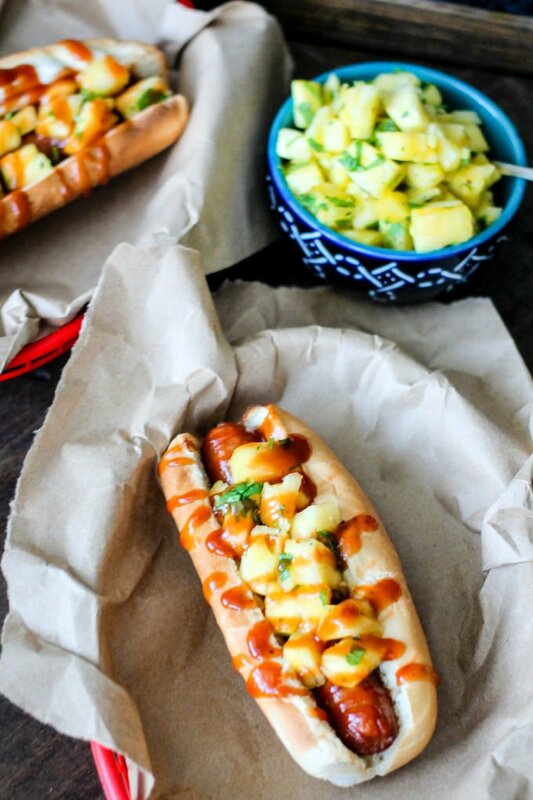 Next time we have hot dogs we are going Hawaiian Style! Such a fun spin on hot dogs! They are always a hit over here! YUM! These are my kind of hot dogs! YUM! My kind of hotdog! 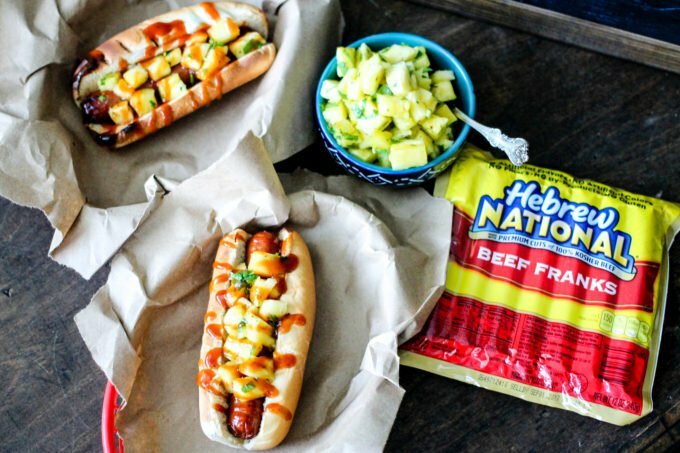 This is the perfect way to have hot dogs. My kids would love this. I had never seen this hot dog idea before, thanks for sharing!